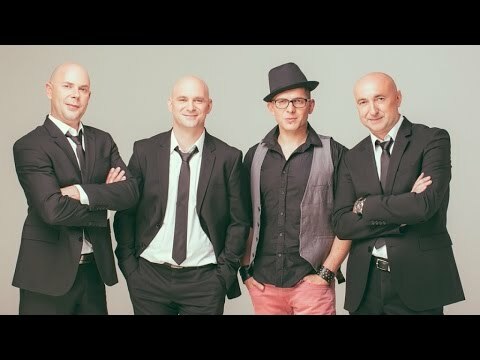 The black & white and fine polished 3Čelos band members Sašo Kronegger, Matic Marinko, Gregor Gerbec and Željko Zuber are old friends that came together because of their common love for music. They joined their forces with the Slovenian TV-star Klemen Bunderla. The winner of this year’s show Znan obraz ima svoj glas, Klemen Bunderla, has met the guys from 3Čelos two years ago when they recorded the single Lepo je and performed at the show Viktorji 2013. They are also preparing a new single called Happy Day. Their repertoire includes many differed styles that appeal to all kinds music fans. Their performance also includes live covers that were performed by Klemen on the show Znan obraz ima svoj glas.